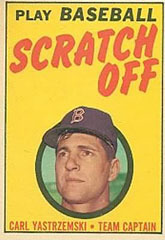 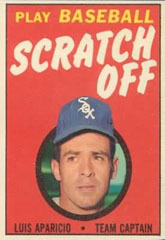 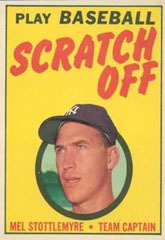 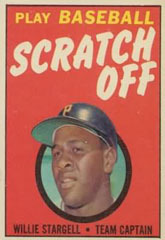 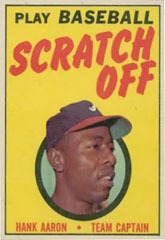 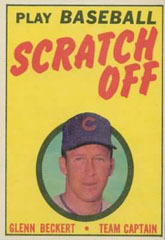 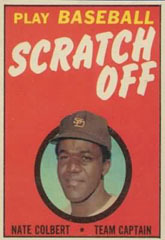 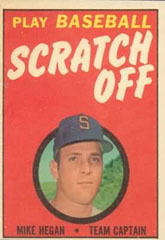 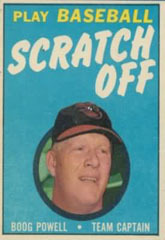 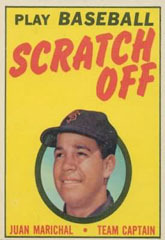 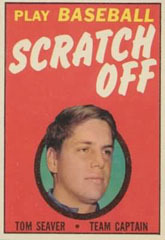 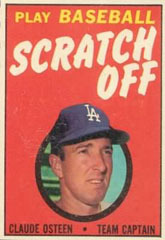 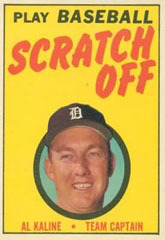 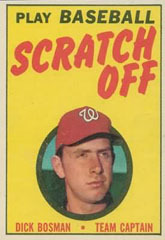 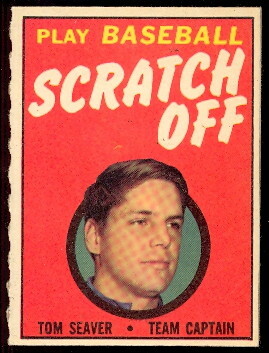 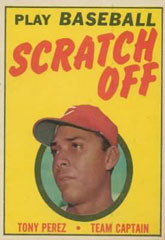 DAVE'S VINTAGE BASEBALL CARDS PRESENTS 1970 TOPPS SCRATCH-OFFS. 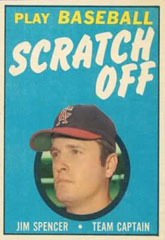 This 24 card Set featured booklets measuring 2-1/2" X 3-7/16", but unfold to 3-3/8" x 5" with White background inside. 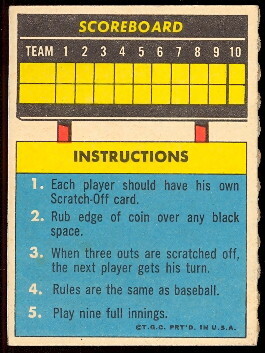 The scratch-off game is played by rubbing the black off the playing squares to reveal the "action" and the backs have a scoreboard and instructions to play the game. 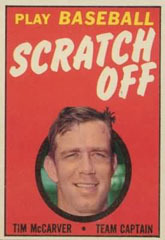 The fronts have a players picture. 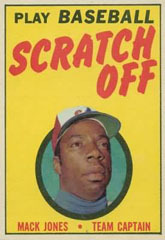 Inserts with white centers are from 1970 and red centers from 1971.